Some people just like to venture out and see where their journey may take them. But when it comes to family business succession and your most valuable asset – your family business and life’s work – I would recommend that you plan your journey well in advance, understand the challenges to be overcome, and the dangers to be avoid. It is a journey best started very early. Family business succession is not a single event, nor does it occur overnight. It requires preparation and conditioning before being commenced. 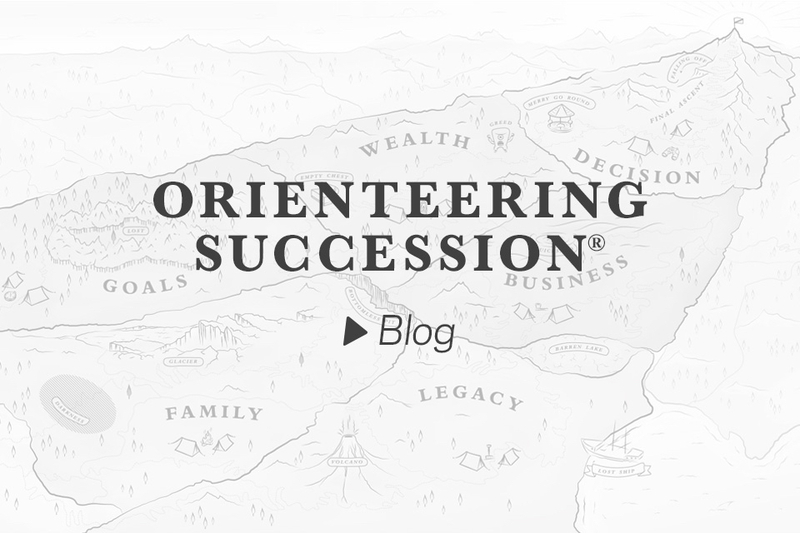 During the months of December and January, ‘Orienteering Succession’ will overview the journey of succession and each of the lands that will need to be crossed. Often, there is confusion about what family business succession is really all about, but honestly, there is only one answer. I define succession as ‘enabling the compounding of wealth from generation to generation while ensuring family unity, individual growth and a sense of contribution’. When you think of succession, do you focus on the future and empowering the next generation to build on your hard work, or of just cashing out today? 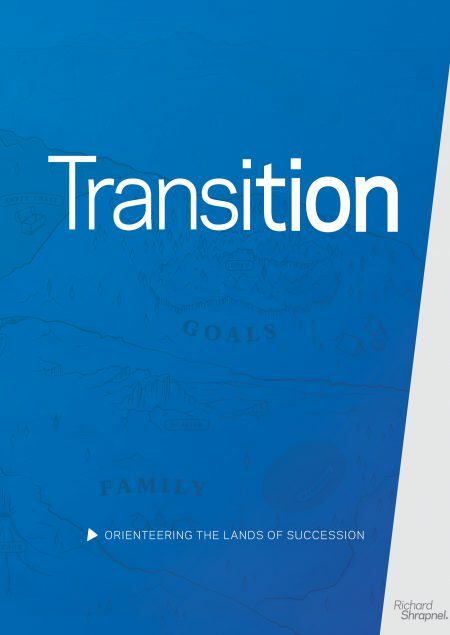 How does your family view succession – obligation, entitlement or generational transition? It should only be seen as a partnership, so if it’s not, move these goal posts today. The ‘skipped generation’ in family business succession is real and represents a clear risk to many multi-generational family businesses. We are all living longer these days and many can expect to live into their 80s and beyond. But what does this mean to family business succession processes? When will you pass ownership and control to the next generation? Will that underpin their commitment to the family business and its growth and transition to the next generation?